Visitors to Sarasota will find white sandy beaches, fine resorts and hotels, great restaurants, and an up-scale shopping center is an area known as St. Armand's Circle on Lido Key. Diners at the various restaurants along Armand's Circle can be entertained by all the shoppers and beach goers coming and going along the sidewalk. Sarasota is not only a great place to visit, but it is considered one of the best places to live, and retire to. Siesta Key is connected to the mainland via 2 bridges. 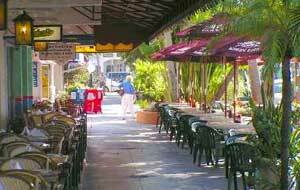 Shopping in Siesta Key Village and Siesta South can be reached via the Siesta Key Trolley. 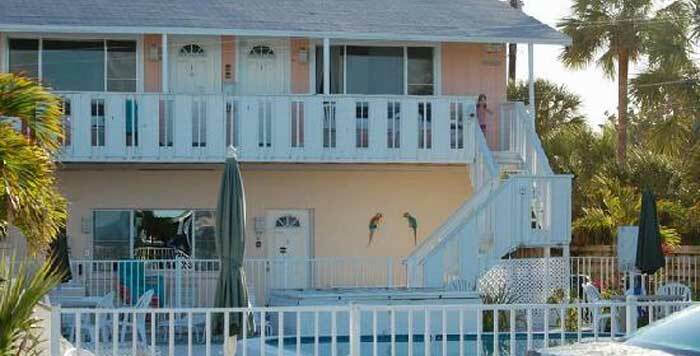 Resorts, cottages, and condos provide accommodations for tourists. Siesta Key Beach has been voted as one of the top 3 beaches in the nation for the last few years. Siesta Key Beach is perfect for shell collecting and water sports like kayaking, and sailing. To see the beach, view the Siesta Key Beach Cam. 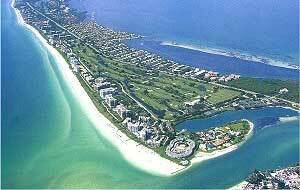 Longboat Key is a thin split of land with deluxe condos and resorts along the gulf's white sandy beaches. Along the IntraCoastal Waterway are mangroves, marinas and private homes. Golfing and Tennis are popular activities for local residents. A few remarkably good restaurants specializing in seafood can be found in Longboat Key: Lucky Lobster, Moores Stone Crab Restaurant, Euphemia Haye, and the Chart House. Sarasota, Longboat & Siesta Key in Florida.